Guest post by Joe Roberson, Tech for Good Consultant at Working with Joe, in collaboration with Nissa Ramsay, Grants Digital Innovation Manager at Comic Relief. I’m here to save you wasting your time. I’m going to tell you why you should hold fire on applying for grant funding to develop your digital product or service, from Comic Relief’s Tech for Good programme, or indeed from any other funder. You see, a whopping 67% of the last round of tech for good applicants didn’t even make it to the infamous long list. They fell short at the first hurdle. 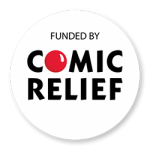 I’ve interviewed the team at Comic Relief and Paul Hamlyn Foundation to understand why 95 grant funding applications were rejected. More often than not – it was their reason for applying. They couldn’t provide a compelling case for why the work was needed. Ouch. But you needn’t experience their pain. 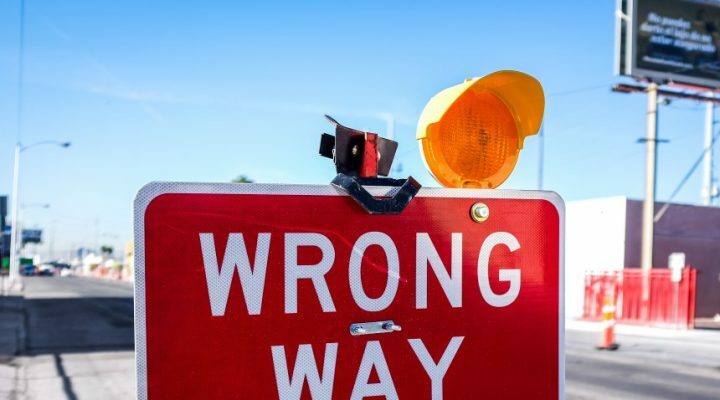 Instead, check yourself against these reasons not to apply for tech for good funding. If any ring true then think about how you might up your game (we give tips at the end). It may be what’s needed but as a reason on its own it’s not enough. Just because folk say it’s what they want doesn’t mean it’s what they need, what they will use or the right solution. We all say we want to exercise more, but just because a new gym opens nearby doesn’t mean we will pay for it and use it. Your application should showcase insights from your target audience. Show you understand the problem, that your solution is needed and will be used by them. Why build something when a viable solution already exists? For example, you want to build an app that helps users communicate with your service. But you could just as easily deliver your idea over SMS, messenger or whatsapp. You need to show why existing tech won’t solve the problem. Too often applicants propose digital tools that are useful (e.g. a map of services and a help directory) but don’t solve a wider issue (e.g. those services need stronger online services). It happens with volunteering platforms too; there are often multiple proposals addressing similar issues. Could you work with others to create a better solution? Your application needs trustee backing, but if you’re only applying because they think it’s a good idea then you shouldn’t. If they think your organisation needs to innovate more, then involve your users in identifying what they need and start by using existing tech in creative ways. Build a project from the ground up rather than top down. Most organisations have websites. But a website is your ‘shop window’ – not a problem solving tool. Where’s the functionality that will benefit your users? This is about more than brand and reaching your users. Explore the help they need then explain it from their perspective, not yours. Sure, your organisation wants to fund raise and help people in better ways. We all do. Comic Relief set up the Tech for Good fund to inspire not for profit organisations to develop digital innovation projects. However, just because there’s grants up for grabs isn’t reason enough. Where was your tech for good idea before now? If it didn’t exist until now and you’ve not tested it with your users, then chances are it won’t get funded. 7. It will help everyone! All the best new ideas have one thing in common. They begin by trying to solve a specific problem for a specific user group; a segment of all the folk they could help. Just because you think your idea could help lots of people it doesn’t mean you should build it that way. Focus your application on a segment of your beneficiaries and then explain why it has scalable potential. Be honest. Do any of these reasons sound like yours? If they do, then best you give them a long hard stare. Either your application will crumble, saving you time, or it will develop into something stronger, with a better chance of success. Learn – Get involved in the Tech for Good community. Learn about other Tech for Good projects. Immerse yourself. Do market research – What are the strengths and weakness of current tech that you use in your everyday life, within your sector and from other sectors that could help? Get tech input – Use this Open Directory to identify potential tech partners and this conversation menu to work through your proposal with them. Pilot and co-design – Test your idea using existing tech or paper prototypes and get feedback from your end users and others in the sector. Do these things and you’ll have the ingredients for a much stronger application, and a greater chance of being shortlisted by any funder, including future Tech for Good funding rounds.